Mini cocottes. Mini ramekins. Ice cream bowls. Espresso mugs. These adorable, compact, kitchen accessories might not be what you’re expecting from Le Creuset’s latest collection, but this summer the cookware company is thinking small. 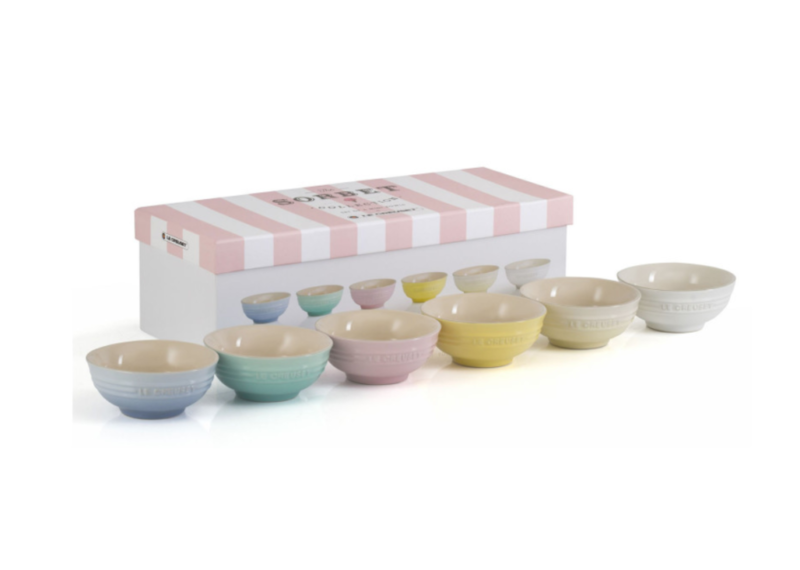 Le Creuset’s Sorbet Collection, which officially launches today, comes in a series of summer-appropriate pastels: soft yellow, pink, green, and blue. It’s probably one of the cutest Le Creuset collections to date because almost every item is mini — and surprisingly perfect for serving dessert. You’ll find mini cocottes perfect for single serving desserts or side dishes and a set of six ramekins that can hold spices, salt, and butter, but that are also perfect for dinner parties because each one is still big enough to hold pudding or crème brulee. A set of four ice cream bowls is also featured in the collection, and almost nothing makes me think summer more than serving sundaes to my friends during a backyard soiree. Le Creuset seems to have the accomplished dinner party host in mind with the Sorbet Collection; it also includes a set of six espresso mugs and mini bowls (with spoons to match). The final moment of a boisterous dinner party can always be mellowed out with a post-feast caffeinated beverage, and a scoop of tart sorbet, which would fit snugly in one of those mini-bowls. Yes, Le Creuset still dominates the field when it comes to creating dinnerware that will turn your home into a haven for simple yet chic dinner parties. The collection as a whole is so appealing because it makes becoming a legendary party host simple. Of course, the food you serve matters (and in case you still need help with that, here are some of our favorite dinner party recipes) but what can really elevate a party is the perfect place setting. So don’t miss out on the chance to make every party you throw this summer worth remembering and serve the desserts you worked so hard to perfect in dishes that make it look as beautiful as it tastes. 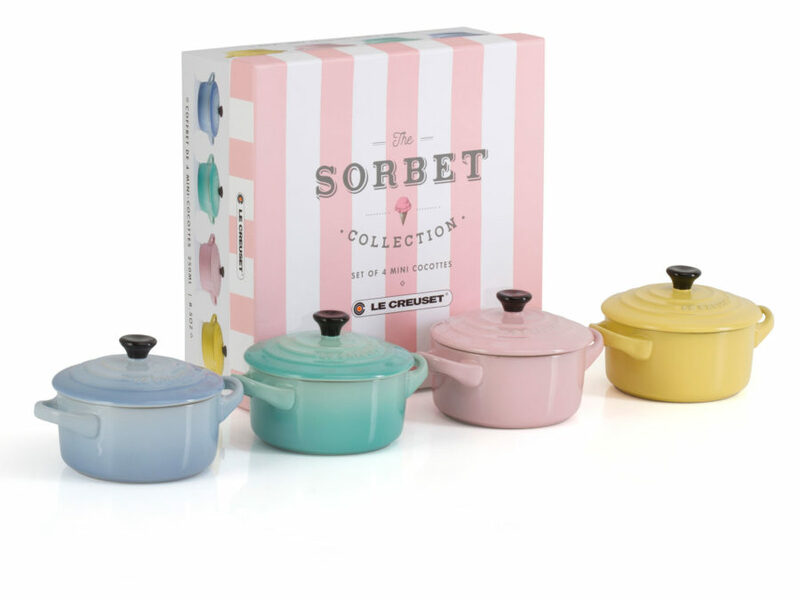 Sorbet collection mini cocettes, $80 on lecreuset.com.